The seed heads of Sweet Vernal tend to appear at about the same time of the year as those of Meadow Foxtail (late April – May). It is widely occurring species in old pastures and meadows but does not have any particular attraction for the farmer or the golf course manager. It does, however, have one remarkable attribute – it is, as its name implies, sweetly scented. When plants are harvested and allowed to dry they emit a sweet scent due to a high content of a pleasantly fragrant chemical compound called coumarin. However, this coumarin has also been reported to be toxic to livestock fed Sweet Vernal silage. It also has been used in herbal medicine but, in recent times, there have been warnings of harmful side effects associated with its use. It is not surprising to note that the common names given to this species include Vanilla Grass and Sweet-scented Grass. 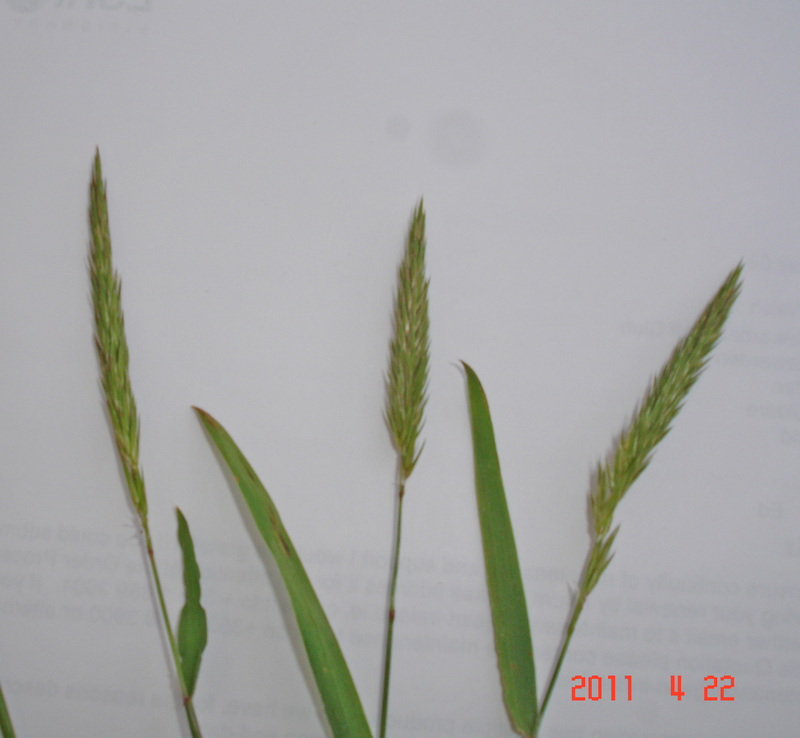 Sweet Vernal can be found in many of the areas on the course that are not mowed on a regular basis. The rough at the front left of the 17th tee and the rough in the spinney on the left of the pathway from the 13th tee to the 13th green are two convenient locations where samples of this species can be seen.